Each year Savoy's Executive Chef, Peter Hoffman, hosts an annual Passover Seder celebrating cuisine from Sephardic Jews from the Middle East. For those who can't make dinner, here are a couple of handy Passover recipes. 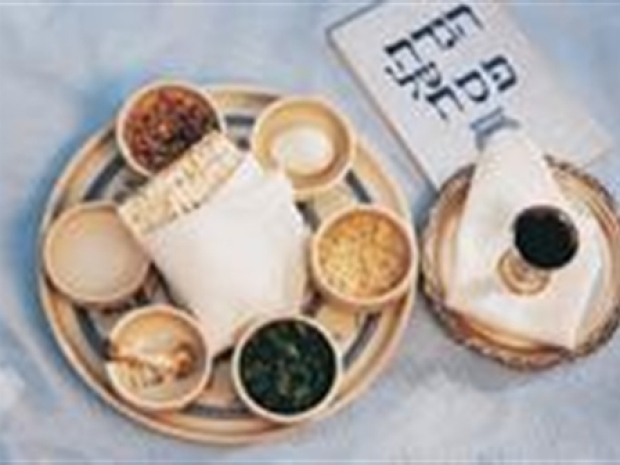 Savoy Chef Peter Hoffman shares his twist on the Passover tradition. + Cut the eggplants in half, prick the skin side with a fork in several places and place on an oiled baking sheet, cut side down. + Bake the eggplant for 45 minutes or until the eggplant is soft. Remove from the oven and let cool. When cool, scoop out the soft flesh and place in a strainer to drain. + Place the eggplant on a cutting board, chop it into half inch pieces, and place it in a bowl. +Chop the roasted green pepper finely and add it to the eggplant. + In a large skillet warm the spices and garlic in the olive oil over low heat. Add the lemon juice and a splash of water. Simmer 2 minutes. + Add the eggplant and roasted peppers, simmer for several minutes. Taste for seasoning, adding a pinch of salt. + Prepare the artichokes: Remove the outer leaves, stopping when the artichoke bottom reveals the light green layer. With a small knife remove the tough outer layer from the bottom. Cut off the top 2/3's of the artichoke and then cut in half through the stem. Scoop out the fuzzy choke with a spoon. + In a baking dish combine the artichoke halves with the wine, lemon zest and 1/4 c of the olive oil. + Cover with foil and bake 45 minutes. + Meanwhile, as the artichokes bake, cook the potatoes: Quarter the potatoes and drop into salted boiling water and cook until tender about 15-20 minutes. Drain and remove to a medium bowl. While still warm add the remaining extra virgin olive oil and lemon juice. Toss well. + When the artichokes are cooked, remove from the oven and add to the potatoes. Add the olives, capers and scallions. Toss well and add fresh ground black pepper and some salt if necessary.